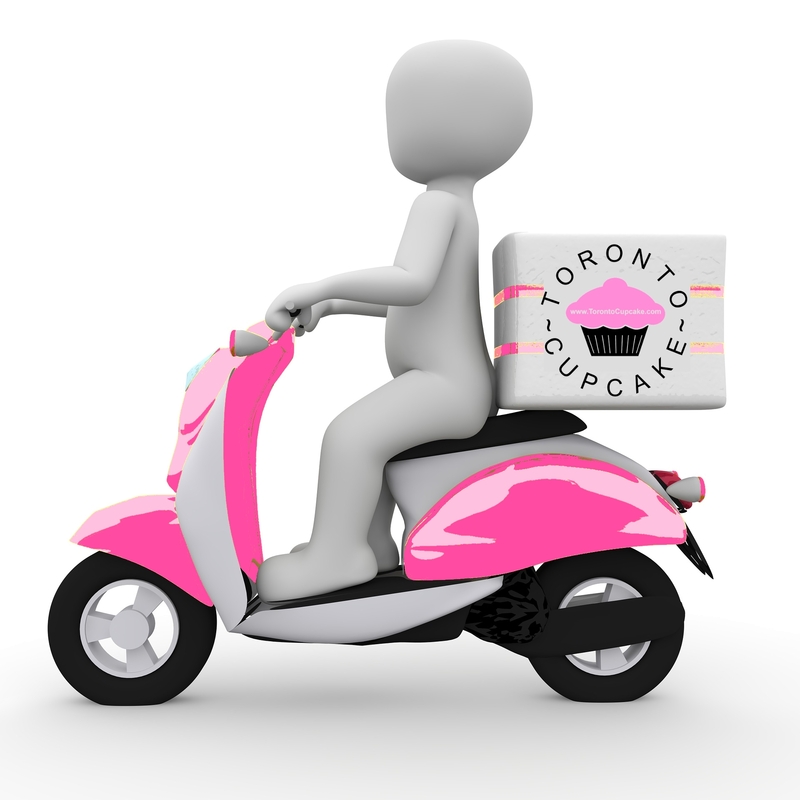 Our cupcake delivery service is avaialable 7 days a week and covers approximately 80km surrounding Toronto. Sending cupcakes has never been easier. Most deliveries can be made on the same day you order. If you need a delivery to a location that is outside of downtown Toronto we require notice at least the night before. Morning deliveries are typically for M** postal codes. Order three dozen or more and your order to downtown Toronto is free and greatly reduced to other locations. We deliver to: Hamilton; Barrie; Markham; Scarborough; Vaughn,; Ajax; and Pickering to name a few. Delivery fee is based on the delivery location postal code and in special cases, time of day. Email us at: inquiry@torontocupcake.com with any type of question regarding delivery.